Cocoa or dark chocolate may improve brain function by increasing blood flow. It also contains the stimulants caffeine and theobromine, which increase alertness and reduce depression. Eating a piece of dark chocolate may actually reduce stress levels; it works by stimulating the production of endorphins that boost your mood. 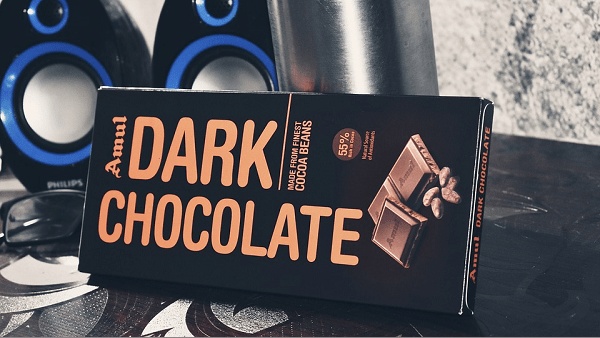 Dark chocolate is full of antioxidants that gobble up free radicals, which are destructive molecules implicated in heart disease and other ailments. The bioactive compounds in cocoa may cause a small but statistically significant decrease in blood pressure by improving blood flow in the arteries, thus helping to prevent heart attacks and strokes. Dark chocolate lowers your LDL (bad cholesterol) while increasing HDL (good cholesterol). Polyphenols in dark chocolate may improve insulin sensitivity, or how well insulin works in the body. The flavonoid and antioxidant-rich composition of dark chocolate may have cancer preventative abilities, although research is ongoing in this regard. The terms “cacao” and “cocoa” are often used interchangeably, but technically cacao is the raw bean of the cacao plant. Cocoa is the finished product after the cacao beans have undergone processing. The cacao may be powdered to form cocoa powder, or mixed with other ingredients to form chocolate. Dark chocolate contains more of the original cacao than Dutch processed chocolate and sweetened milk chocolate. This is important because the more cacao that is present, the higher the nutritional quality. Cacao powder is among the biggest food sources of flavonoids and polyphenols in the Western diet, which is the primary reason why chocolate is now considered to be a good-for-you treat. Although milk chocolate does contain some cocoa solids, it’s diluted with the addition of milk solids, sugar, and cream. Remember: when it comes to chocolate, the darker the better. Eat your way up to 70% or more if you can handle the intense chocolate flavor. The best way to get all the nutrients from chocolate is to simply use unsweetened cacao nibs (crushed cacao beans). This bitter, crunchy, seed-like snack isn’t the best-tasting treat, but it has the best nutritional profile including fiber.